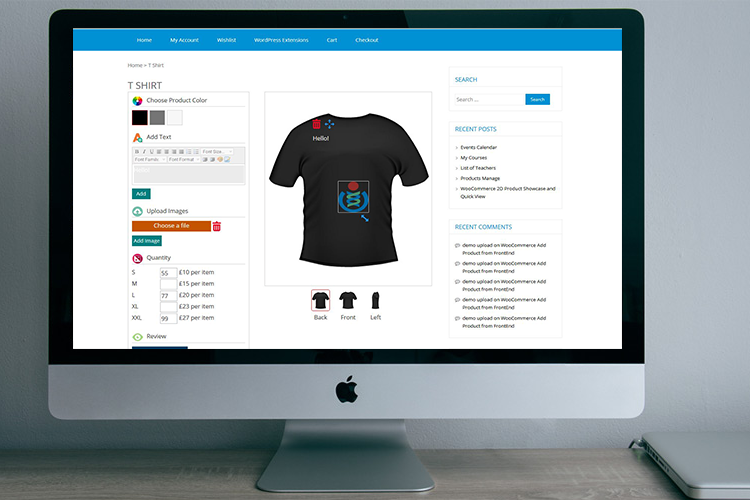 Plugins are suitable for many types of businesses, such as T-shirts, shoes, jackets, hats, glass, football, cars, card, printing services, etc. Today there are many plugins that allow this, but most plugins are heavy because it's a lot of code and graphics, and it also causes a lot of unnecessary trouble for customers. They also have to spend time getting familiar with the design interface, most of the customers are not computer professionals. 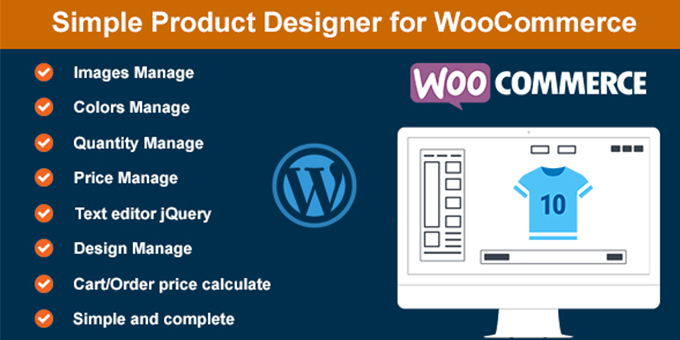 Our plugin is quite gentle and simple, but very full functionality needed to serve the needs of design for customer. 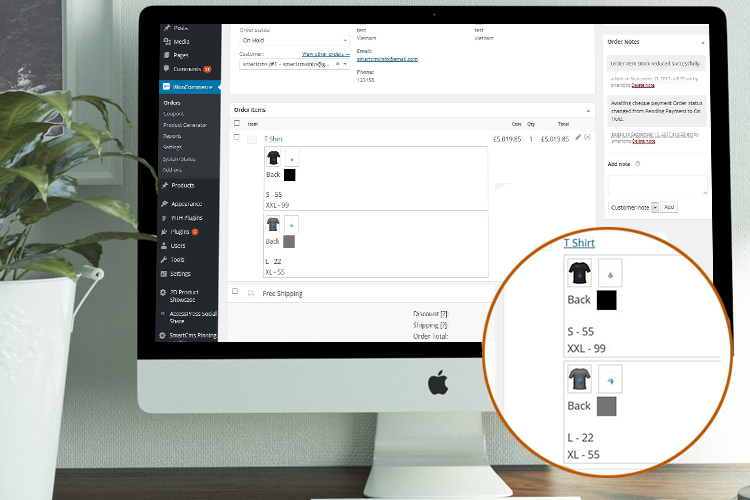 On the edit page of WooCommerce product in Back-End, admin can manage information about the design of the product, inlcuding Title(Front, Back, Left, Right...), Color, Image. 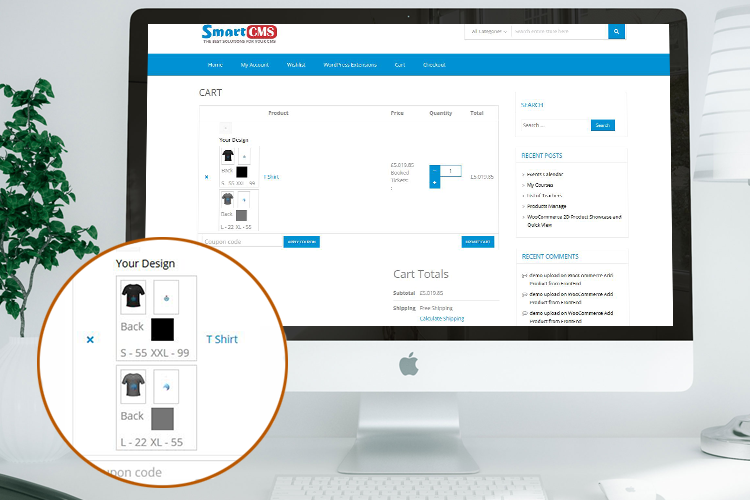 And manage quantity and price of them, here admin can create product parameters such as Size, or simply is Quantity so customers can enter the quantity of the design, price will also calculated. The customers can choose color, add a text, they can change text color, font, etc with text editor and drag&drop it. Also can upload image, resize and drag&drop it. Then they can enter the quantity of design. Finally they will choose their design by Render Design, can render many different designs, they can also delete it if want to change. Then customers will add product to cart, these designs will be including in the cart, prices will be also calculated here. 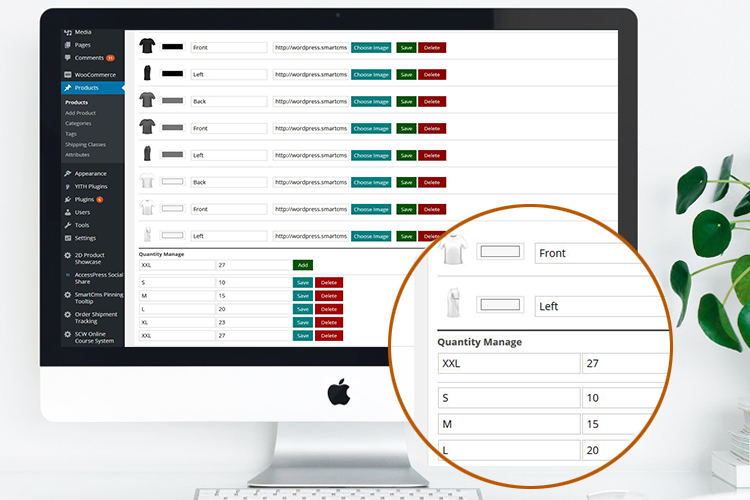 When they completed order, admin can see those designs in the order page in Back-End. Very easy to install and use, the plugin gives you the best solution.